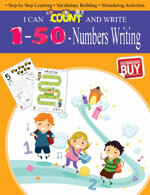 The series of books on I can Count and Write is meant to develop basic writing skills among beginners, (preschoolers). 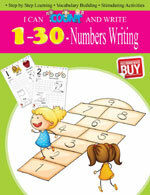 Scientifically designed and developed, it helps the young minds to grasp and write numerals, and vocabulary building, as well. Very apt to practice at home or in schools; with captivating multi-coloured pages. Recommended and Approved by Educationist. 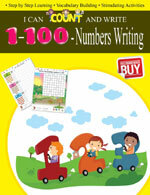 Let your children become men of numbers by practicing this number writing exercises.